All any of us wants is to be seen and to be heard. This longing is at the core of our human beingness. Most never get the opportunity to share their life story in a way that impacts many. Why some people become famous and others, equally as gifted, remain obscured to the annals of history is a compelling study in itself. Franz Kafka (1883-1924) has become an iconic figure in 20th century literature. Critics, writers and readers alike revere him as one of the most influential authors of our time. His stories and novels live on, continuing to ignite the imagination, inviting new critical studies and translations from their native German. Kafka's writing is known for its universal themes: archetypes of alienation, physical and psychological brutality, parent-child conflict, labyrinths of bureaucracy, terrifying quests and mystical transformations. His many works, including, The Metamorphosis, A Hunger Artist, The Trial, The Castle, continue to captivate the generations who have followed him. 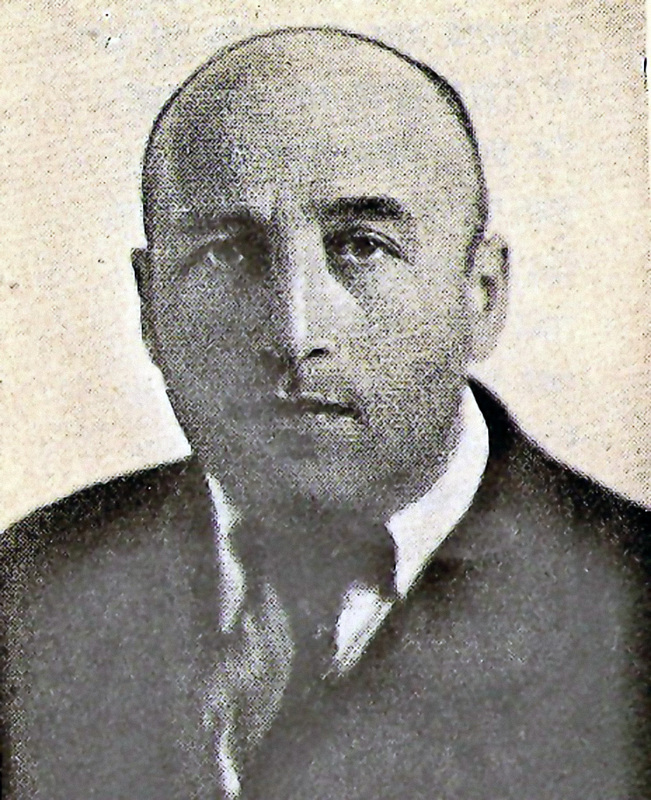 Georg Mordechai Langer. Who? 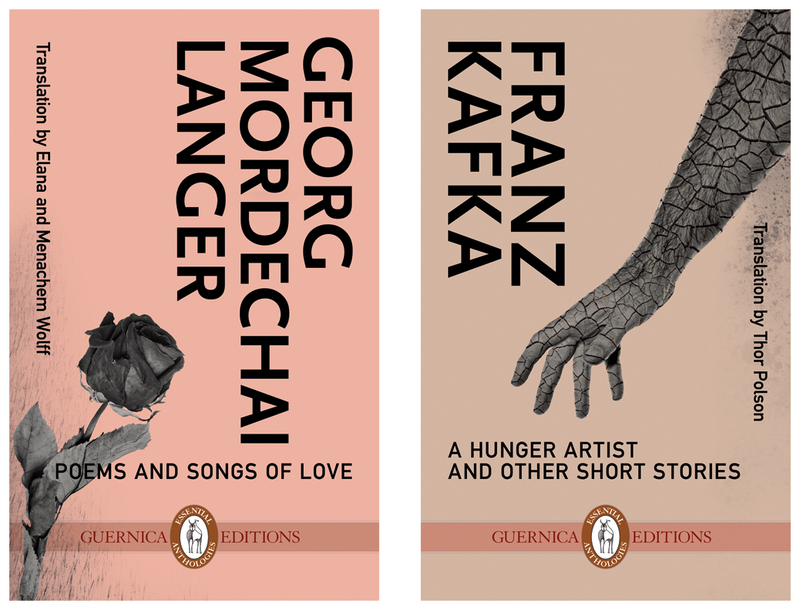 That's what I asked when I was led to a new book -- a flip book published by the Toronto-based literary press Guernica Editions -- that brings together translations of Kafka's and Langer's writings and sheds new light on their friendship. How this book came about is the fascinating part of this story to me. The Kafka half, A Hunger Artist & Other Stories, is a new translation by Ashland, Oregon-based author Thor Polson of some of Kafka's most famous stories along with other lesser-known pieces. 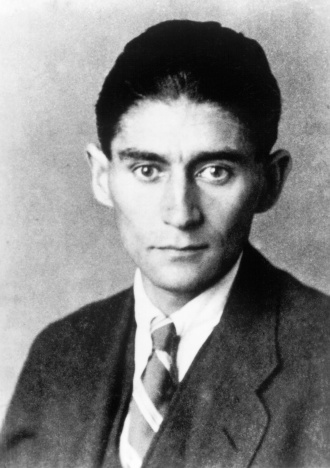 Polson, long drawn to the work of Kafka, took up the translation as a way of developing his own writing. The Langer half of the collection took seed when Toronto poet and artist, Elana Wolff, was researching Kafka for an in-depth biography presentation at Arscura - School for Living Art. She found several brief references to fellow Prague writer Georg Mordechai Langer, (1894-1943), in biographies on Kafka and in Kafka's own Diaries and Letters. There was little explanation or detail of why or who he was. She became intrigued and wondered, "Who was Langer and what was his relationship to Kafka?" It became her mission to uncover the unknown. Two references, in particular, piqued Wolff's curiosity -- one to an elegy written in Hebrew by Langer for Kafka and published in a small collection at the Prague Jewish printing works in 1929, and another, in A Franz Kafka Encyclopedia, stating that the importance of the friendship between Kafka and Langer had been "largely overlooked." Wolff was determined to read the elegy, leading her on a quest to find a copy of the book in which the poem appeared. She also committed to uncovering whatever she could on the Kafka-Langer relationship. In her Introduction to the Langer half of the flip book, Poems and Songs of Love, Wolff takes the reader along on her path of discovery -- to unearth more than a few sketchy mentions of Kafka on Langer and Langer on Kafka. She located a copy of Langer's collection of Hasidic tales, translated from Czech as Nine Gates, at the York University Library in Toronto. The forward written by Langer's older brother František, offered insightful biographical information. Who Was Georg Mordechai Langer? Wolff's telling of Langer's story is a wonderful read, revealing his childhood loneliness and draw to religious mysticism. She describes how much like Kafka himself, Langer was seeking an authentic, non-western experience of Judaism and Jewish culture. Kafka in Prague by way of a Yiddish theater troupe from eastern Galicia, Langer in eastern Galicia in the Hasidic court of the Rabbi of Belz. Although František himself never met Kafka, he tells how Kafka and his brother became friends during the war: "Kafka evidently found Jiří (Langer) a kindred spirit and the two men used to go for walks together in Prague." Wolff shares František's insights on his brother -- among the good qualities, he possessed an easy-going and patient nature, with humour and uncommon talent as a linguist. On the downside, František relates how Langer disrupted the cozy family nest with his "religious exhibitionism" and ongoing unconventionality. And he praises Nine Gates somewhat faintly as a "work of the heart, not the brain, told naturally, vividly and personally..."
Fuelled and even more determined, Wolff's search for Langer's book of poetry continued to prove unsuccessful. Neither the book nor the elegy were available online or in libraries. It was a trip to Israel that would manifest the missing piece of the puzzle. Visits to used and rare books stores in Tel Aviv and Jerusalem still left her empty-handed. And although the book was listed in the system of The Hebrew University in Jerusalem, she was told it was in storage and could take several days to locate. If at all. With true serendipity and divine timing, the book magically appeared the day before her return to Toronto. Wolff describes in tender detail, her meeting with Langer's rare little book -- a copy he surely brought with him on his escape from Prague to Tel Aviv on the eve of World War Two, and bequeathed to the library. "There was not a single return-date stamped on the old-fashioned sign-out form pasted to the right-hand side of the next page. I felt like I was the first person to have opened the little book to air. A shyness overcame me and I turned each page carefully, checking its integrity - like a young mother examining her newborn's fingers and toes. I came to the twelfth poem - "On the Death of the Poet" - after Franz Kafka, the name inserted plainly under the title, and I knew that I would read every one of these pieces in the way a poet wants to be read, and that my husband Menachem and I would do the work of translating the collection together." The Wolffs took on this project as a labor of love. Carefully translating each word of the 16 poems, committed to maintaining the integrity of the work of a gifted Hebraist, wanting to bring what they soon discovered as "Langer's poems of profound loneliness and longing and undisguised, unrequited homo-romantic love" to the world. Twelve of the 16 poems are addressed to a male and the only male mentioned anywhere in the collection is Franz Kafka. Textual and contextual evidence suggested to the Wolffs that Kafka may have been the subject of more than just one of the poems, and Langer's great unrequited love. There is much speculation in both Wolff's Introduction and Afterword, as to the true nature of Langer's attraction to Kafka. Much remains unanswered. Perhaps it is meant to stay that way. As with readers of Kafka's works, readers of this collection are left to make up their own minds. The gift of the poems, for now, may have to remain enough. It was important to the Wolffs to have the original Hebrew poems appear alongside the English translation and Guernica agreed, producing for the first time, a bilingual Hebrew-English edition of poetry. Everything about the way this book was birthed to the world is a wonderful affirmation of how the universe works in strange and magical ways. How we never know who or what we'll be called to in our lives and how someone else's life and biography will intertwine with our own. That Elana Wolff was so called to Langer through Kafka and that she acted on it, is a testament to trusting in our inner voice and saying yes to the unknown coming towards us -- taking the leap and doing the exploration. Finding the authentic and compassionate way to share another person's life with others -- this is what biography work is truly about. Thanks to Elana Wolff for her curiosity and persistence, and to the Wolffs as a team for their loving translation, for breathing new life into the soul-filled poems of the little-known poet Georg Mordechai Langer.